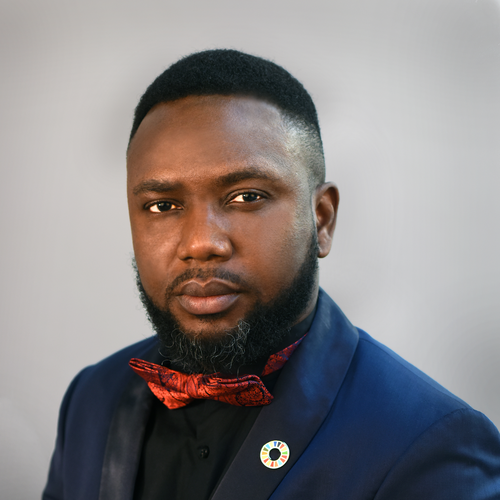 Join Babatomiwa Adesida - who is passionate about youth leadership - to learn how he navigated a career in Corporate Social Responsibility (CSR) in the private sector and now works for the SDG Fund, a UN mechanism to make the goals reality. For any of you passionate about one day working in CSR and/or at the UN, this is a special opportunity. Babatomiwa Adesida is the Private Sector and Philanthropy Engagement Consultant for the Sustainable Development Goals Fund (SDG Fund). His primary role is to engage the Private Sector to establish sustainable partnerships with the UN through the SDG Fund in numerous countries around the world. Learn more about Babatomiwa here.